It seems that they’ll let just about anyone make a smartwatch these days. Will.i.am of Black Eyed peas fame, a former Blackberry proponent, and Intel’s Director of Creative Innovation, has announced that he plans on releasing a smartwatch this July. 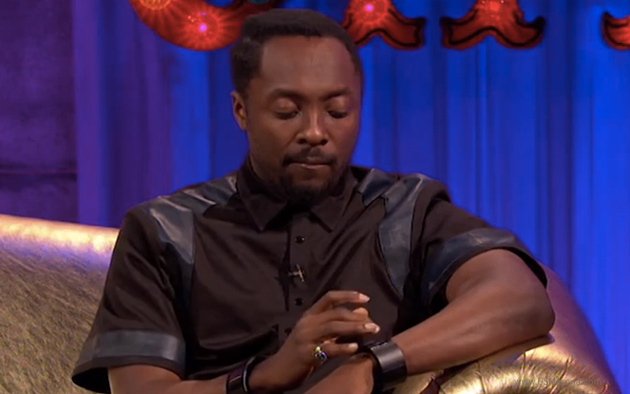 He was even wearing a prototype of the device on Alan Carr’s show: Chatty Man. This isn’t the musician’s first foray into gadgetry. He previously tried to sell some camera add-ons for the iPhone…but their high-cost ($315) didn’t really do much to convince consumers into buying his his stuff. He also stated that the device doesn’t need to connect to a smartphone and that it can stream music using bluetooth and even make calls all by itself. You can check out the video below if you want to see the screen on his watch flicker with a bit of light as he taps it. It seems like he believes in the idea. No other details on the features of the smartwatch have been released, however. Does anyone have high hopes for the smartwatch? Or do you think that Will.i.am should just stick to making pop music?